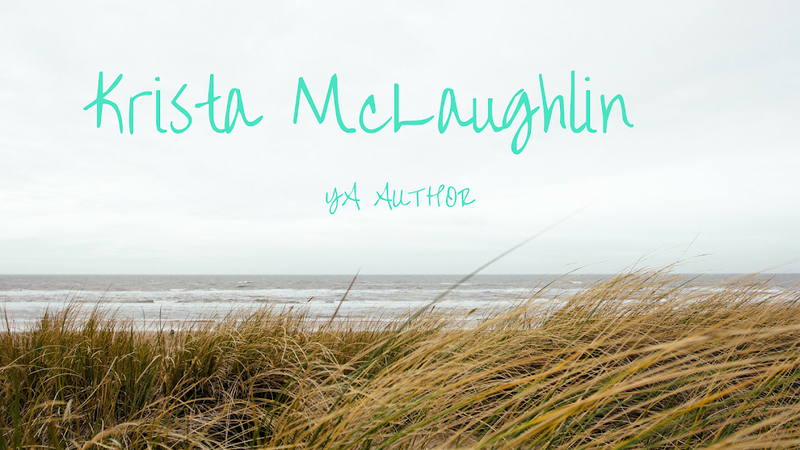 Krista McLaughlin - YA Author: Interview from Krista Wayment - Trusted Blog Tour! Interview from Krista Wayment - Trusted Blog Tour! Today I would like to share an interview with Krista Wayment! 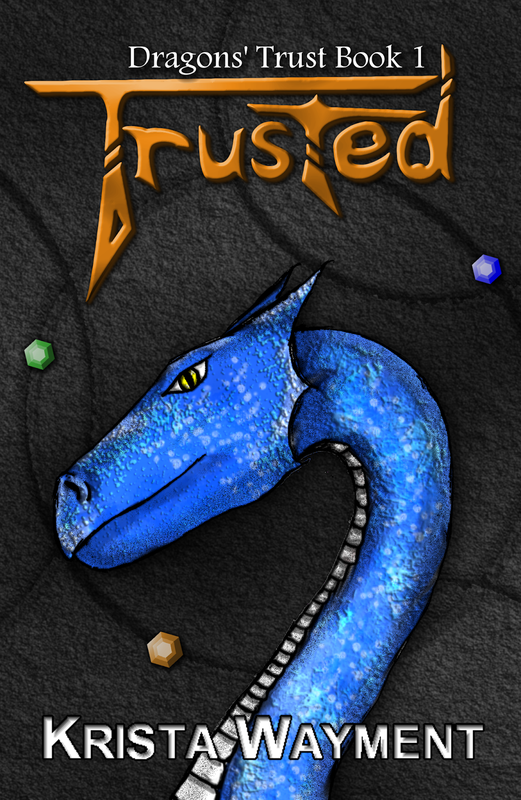 Her debut novel, TRUSTED, Dragon's Trust Book 1 releases on March 27th! Firstly, I would like to thank you for taking time out of your busy schedule to “sit” down for an interview with me. Sorry about the mess. I ate an entire bag of jellybeans earlier and they went flying, but let’s not talk about that. We are here to talk about you! This is really exciting for me because I get to interview my name twin! Krista is interviewing Krista! 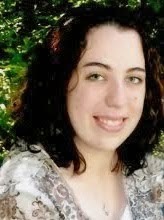 We also have two characters named Lainey in our books that release within days of each other. Sometimes I wonder if we really are the same person. Okay, let’s start with an easy first question! What was your inspiration for Dragons' Trust? Krista W: I've always love dragons. And of course, loved reading about them. When I realized that I had NO stories with dragons in them—I decided to fix that. So I started thinking about what kind of dragons I wanted to write about. After answering the questions “What if?” and “Why” several times—The Dragons' Trust world was born. I agree, there are not a lot of dragon books and dragons are awesome! What made you decide to independently publish your novel? Krista W: I am not a patient person. Seriously. Two day shipping isn't even fast enough for me :) I to get an agent but only got a long stream of no's. Sigh. The thought of doing this over and over and over and over—well, you get the idea. I was getting frustrated. One day my husband asked me--”Why don't you just publish it yourself.” And—rather than give up or stay frustrated—I decided I would. Two day shipping gets me too!! I love that your husband gave pushed you not to give up! If your characters were sitting down in a coffee place, what would they order? Or how would they respond to things like skinny lattes and mochas? Krista W: (Giggle). Oh my gosh now I have to write a scene where they sit down in a coffee shop! Let's see … Thane would order his black and hate it. Because he's tough on the outside and sweet on the inside. Lainey would want something sweet and frothy. Renick would probably get something with a flavor that reminded him of home. Then Plyth (the baby dragon) would get a sip of espresso and would fly and jump around with all the excess energy. Final image: Renick, Thane, and Lainey drenched in coffee a foam on the verge of laughing. Krista W: I'm working on book two right now, and I'm excited to see Thane's character develop a little more. Beyond that—you can look forward to the scene when Renick's father finally comes for a visit and a lot of little things fall in place and some surprising things are revealed. That's all I'm going to say for now. Sounds exciting! And one final question… it’s the question we’ve all been dying to know. What special treat do you give yourself while writing? Krista W: Chocolate. Lots and lots of chocolate. Seriously, it is my favorite food. I occasionally also have chips with ranch dip or a nice mug of hot chocolate with a fist full of marshmallows—mmmm! Because chocolate is amazing! Thank you so much for taking some time to sit down with me! I’ll let you get back to preparing the finishing touches for your book release! I'm very excited about your release. Congratulations! Congratulations Krista! And what a fun way to do a book tour! The book sounds fantastic, and I am off to search for dragon scales!